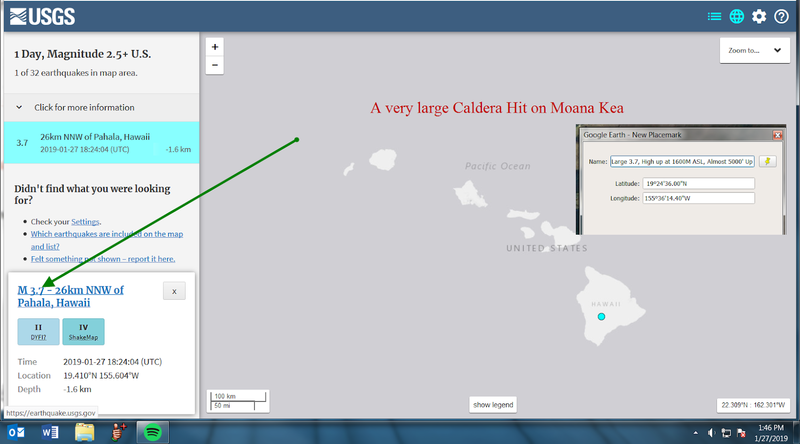 Back in Hawaii, and even though busy, must keep an eye on my own neck of the woods. 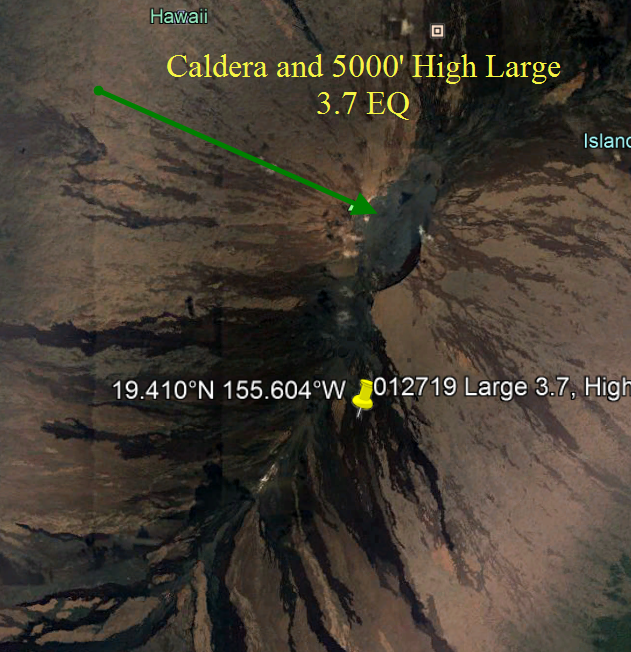 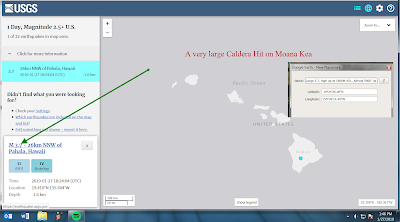 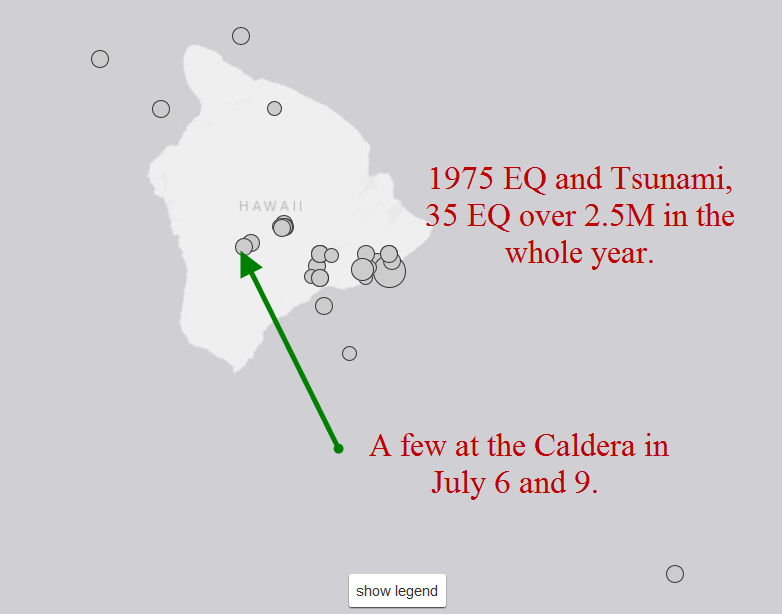 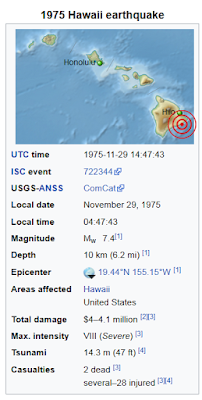 So when I see a quake on a map of Hawaii, I pretty much know whether it is a caldera strike based on position. 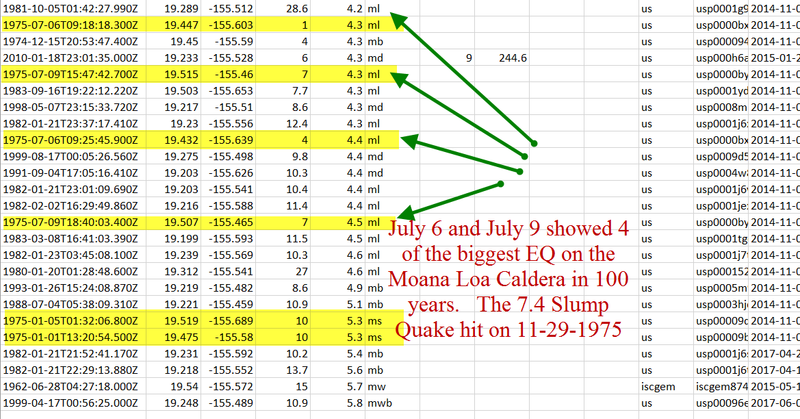 Todays EQ of 3.7 caught my eye. And the height of almost 5000' ABOVE SEA LEVEL. 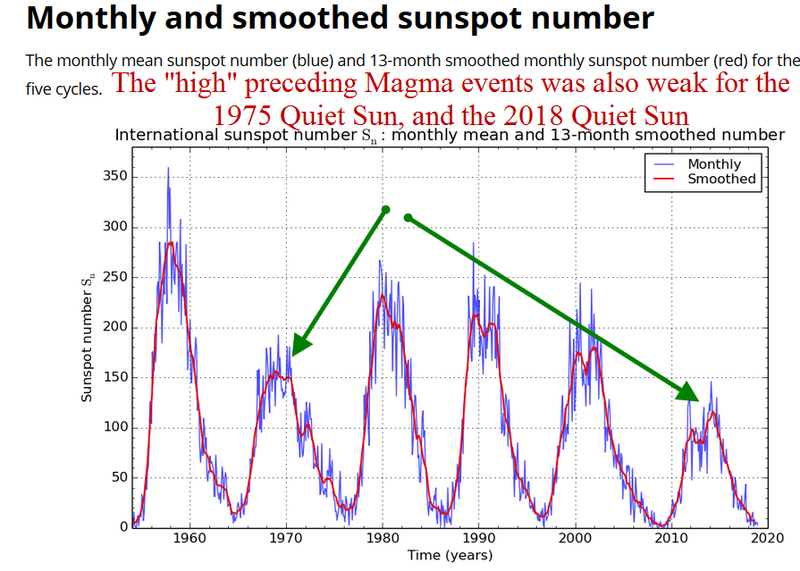 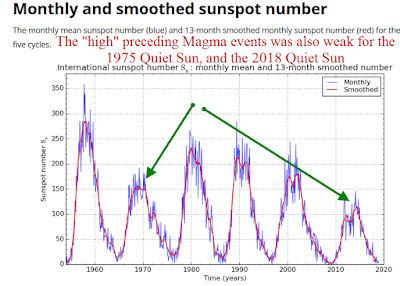 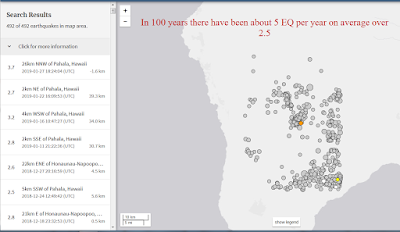 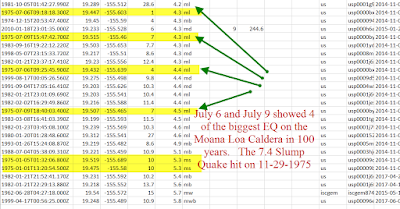 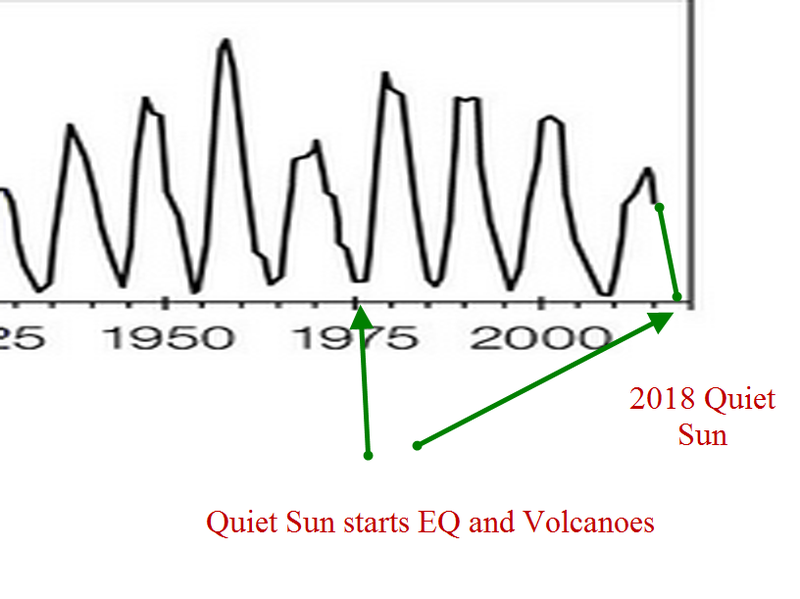 went on record as not being able to "prove" that EQ and Volcanoes where linked. 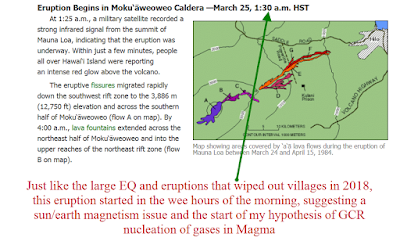 What does the "magma chamber" of moana loa look like and where is it, and how does it interact with Kilauea? 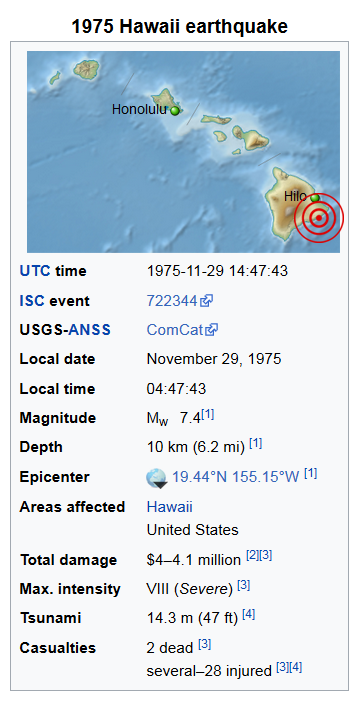 Wikipedia thinks they know something, from inflations. 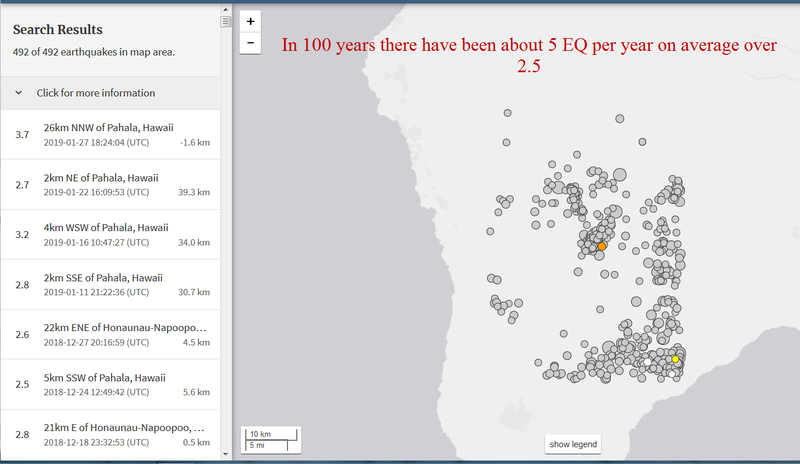 They should be using 3D earthquake plotting instead, I will someday. 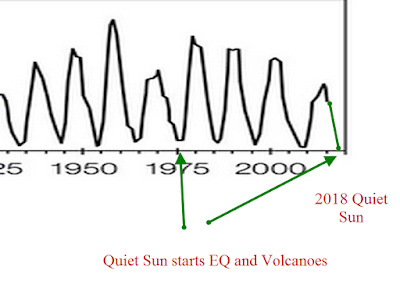 This commentor is SPOT ON!